This is for Solo’s Japanese release. 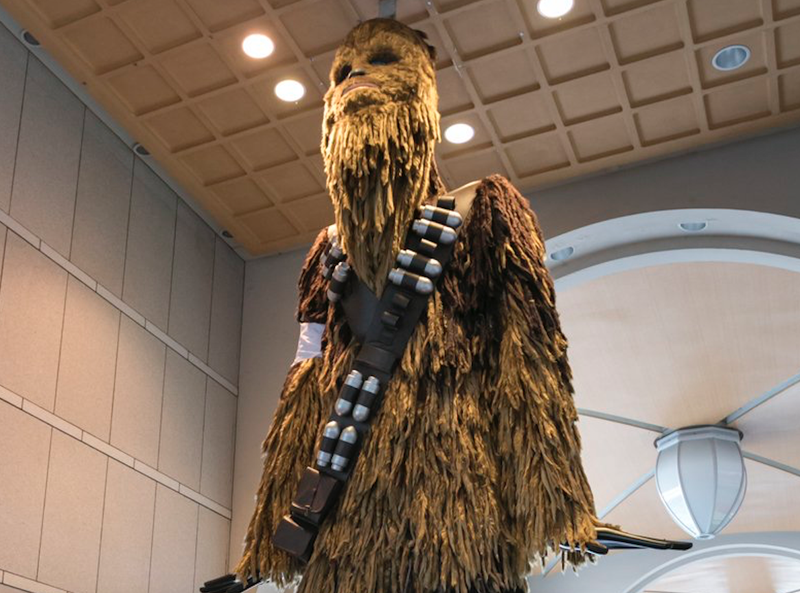 The statue, however, is always up, but not decked out like Chewbacca. Called Nana-chan ningyou (“Nana-chan doll”), this is a huge mannequin located in front of Nagoya’s Meitetsu Department Store. Since 1973, Nana has towered over shoppers in a variety of seasonal and promotional outfits. The mannequin has been known to dress as famous characters.